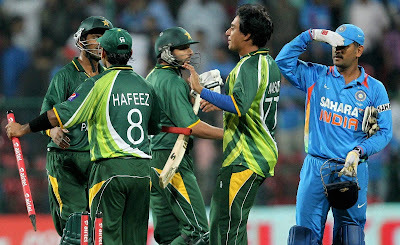 Yesterday on Thursday 24th March 2011 India taken on defending Champion Australia in second Quarterfinal of ICC Cricket world Cup 2011 in Motera in which India won by 5 wickets and reached Semi Final of Cricket World Cup. With India's win Australia 12 years continues rule on World Cricket also came to an end. India will now be taking on its historical Rival Pakistan in Second Semi Final on 30th March in Mohali. The Winner will reach Final while loser will go home .